Dr. Laura Peralta graduated from Nova Southeastern College of Osteopathic Medicine. She performed her internship at Universal Medical Center. 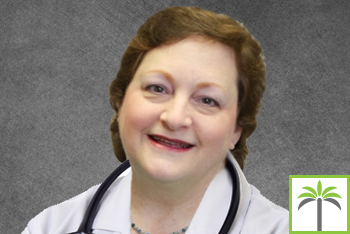 She is a member of the American Osteopathic Association and Florida Osteopathic Medical Association. A long time Florida resident, Dr. Peralta graduated from McArthur High School in Hollywood, Florida. She obtained her Bachelor’s Degree in Nursing from Texas Christian University, then returned to Florida where she worked as an Emergency Room nurse before starting Medical School. Dr. Peralta is fluent in both English and Spanish.